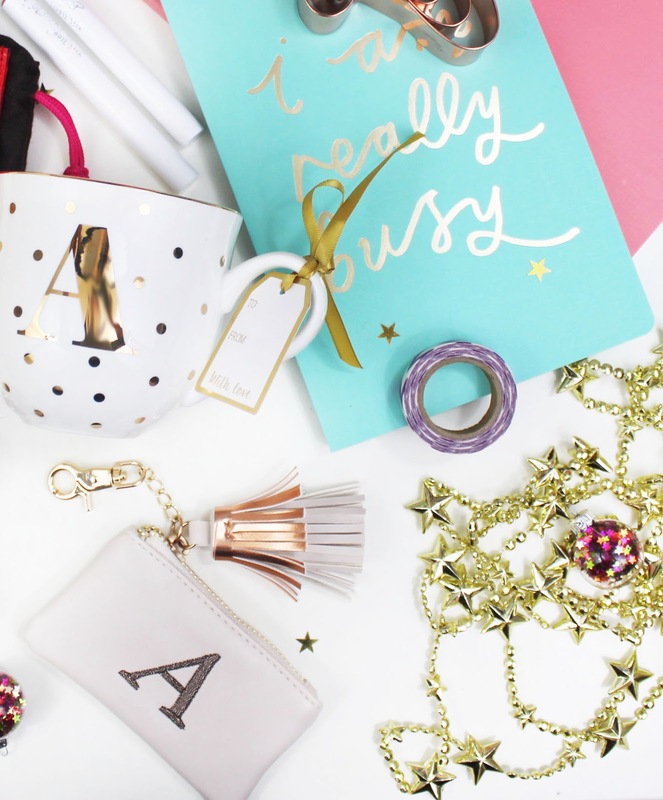 Affordable beauty bits are such a good way to fill up a stocking with gifts! I mentioned the Eyelure 117 Texture False Lashes in a post a couple of weeks ago – they’re gorgeous for the party season, they’re not too little and not too much, particularly if you love a smokey eye. Colourpop are also an incredibly affordable, fun brand – so a couple of products from their line would be perfect to pop in a beauty lover’s stocking. My favourites are definitely their Super Shock Eyeshadows and the Lippie Stix, the formula of both are absolutely incredible! If you’re more into luxury beauty gifts, mini travel size versions are the perfect size to fit into stockings. One of my favourite minis from this year is the Living Proof Full Dry Volume Blast. It’s a good size, smells gorgeous and most importantly, it works wonders on hair! I think key charms are some of the most adorable stocking filler ideas so I’m including the Anthropologie Gold Wishbone Keyring which I bought whilst in Canada earlier this year. I think it’s out of stock now though but there are still so many other cute key charms to choose from on their website. The Alphabet Initial Embroidered Purse has to be one of my favourite finds for my gift guides this year, I love it so much! It reminds me of a similar style that I saw in Anthro last year except this one is only £3.50! To match the alphabet purse, I found this gorgeous Gold Spotted Initial Mug too. It’s perfect for hot drinks season and looks utterly gorgeous in blog photos (always a bonus!). If you know someone who loves travelling, something like the Kate Spade Travel Card Holder would be a lovely addition to their stocking. 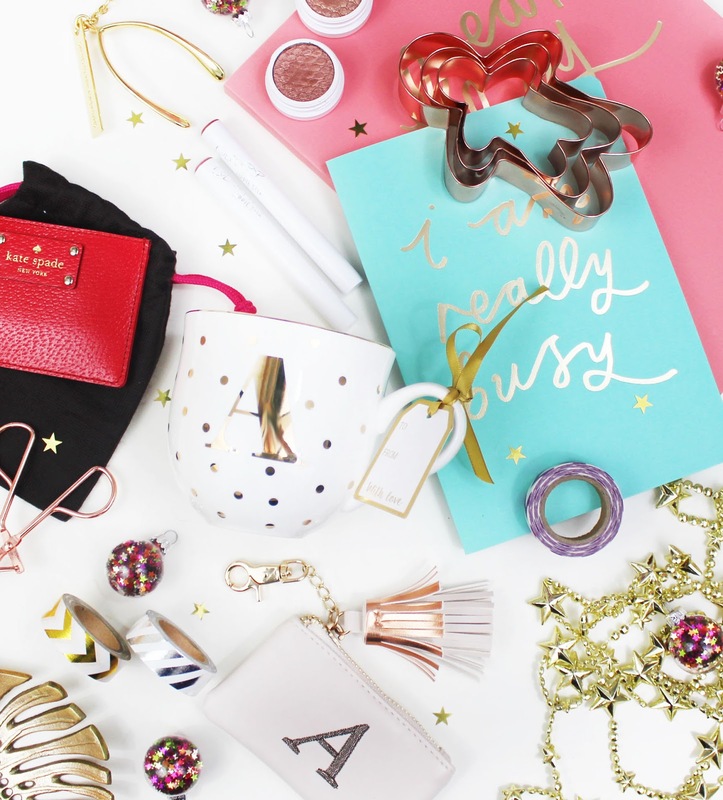 The presentation of Kate Spade goodies are so giftable and gorgeous, which makes it such a treat to give. I chose the red leather because it’s incredibly eye-catching, but they come in all sorts of colours including metallic finishes too. Notebooks are really beautiful stocking fillers too, and there are so many different kinds to choose from! I love this aqua I Am Really Busy Notebook from Sainsbury’s. Isn’t it adorable? Speaking of metallic, these Copper Gingerbread Cutters are really cute as a stocking filler too. They’re small, inexpensive but really handy – and not just for bakers! I love gingerbread, so I know that I’ll be getting a lot of use out of these this month. Another kitchen related gift would be these adorable Copper Measuring Spoons – they’re perfect to hang up and use whilst cooking, easy to wash and certainly look the part. Of course, edible goodies are always welcome in a stocking – I’m in love with Dark Chocolate Coated Espresso Beans and a box of these would be the perfect luxury treat for a coffee lover. Together with the mug I mentioned, what a gorgeous treat! What gifts are you hoping to find in your stocking this year?